My friends know me for my passion for traveling and for the fact that from time to time I tend to move to a new city. 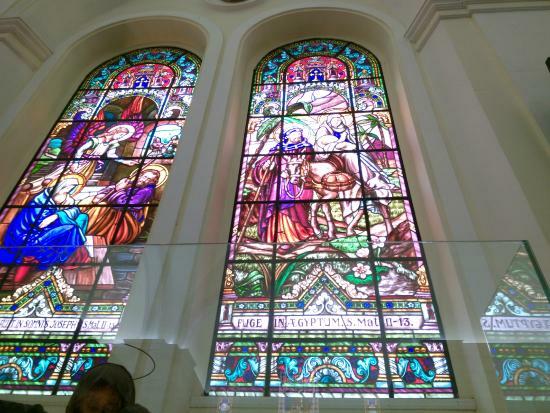 I have lived in Brooklyn for two years and in Sao Paulo for almost four years. 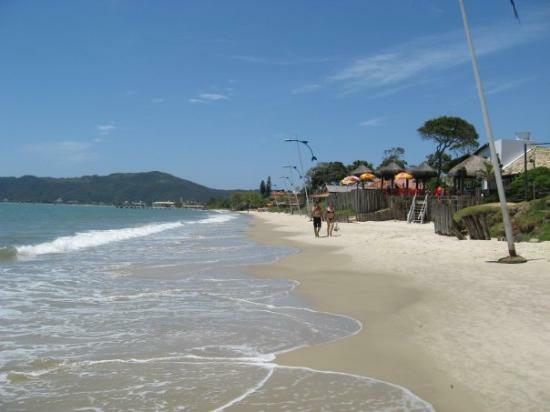 A Brazilian born and raised in the state of Santa Catarina, I&#39;m very familiar with its coast and amazing beaches. 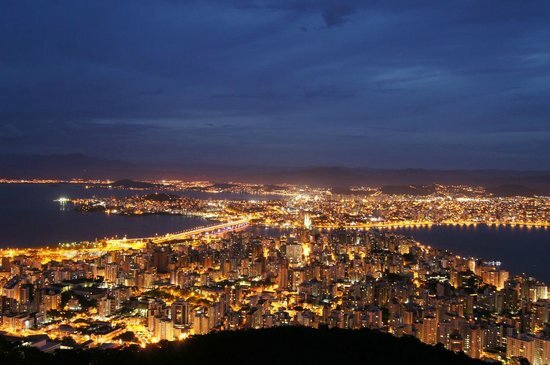 Other cities in Brazil that I had the pleasure to call home are Brasilia, Curitiba, and Vitoria. 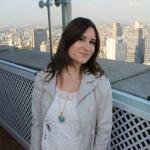 I have explored different countries in South America, North America, and Europe for the past ten years. 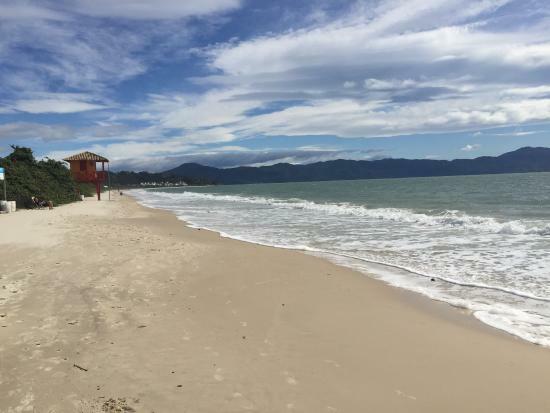 With dozens of different beaches to visit, Florianopolis (Floripa) offers you beautiful scenery and delicious meals to enjoy year round; and born and bred in the state of Santa Catarina, I could not love its capital, Floripa, more! While I highly recommend staying more than one day, if you can only make a short visit, don't worry; get an early start and follow this guide to enjoy some of my favorite spots in this lovely city. If you don't want to rent a car, plan your day around the city center. 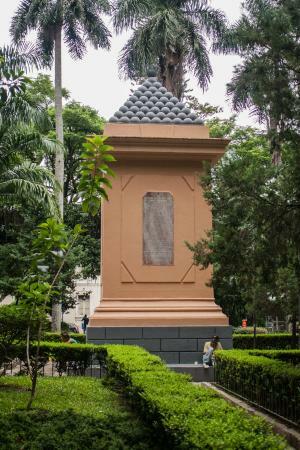 There are several attractions within walking distance of one another, and you can take a cab for sights further afield. 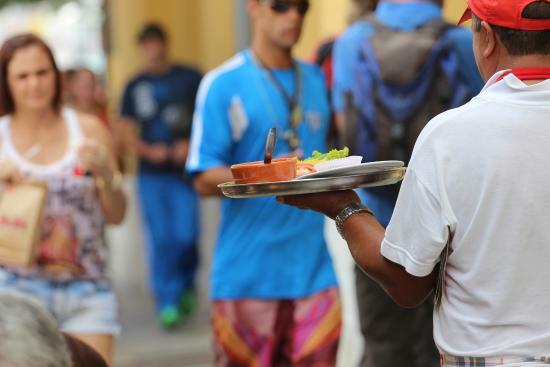 In Brazil, restaurants usually include tips in the bill (10%). 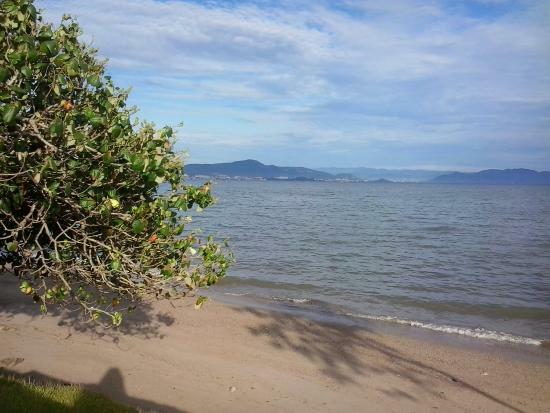 The best way to explore Floripa is by car. Public transportation tends to take a long time, and cabs will add up quickly if you intend to visit various parts of the island. 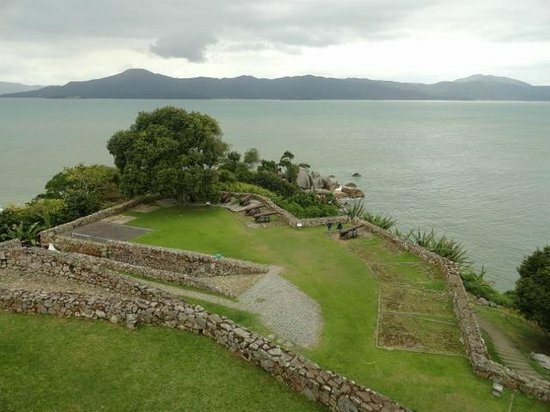 Built to protect the city, this fort offers you a taste of Floripa's history, and a nice view of the ocean. 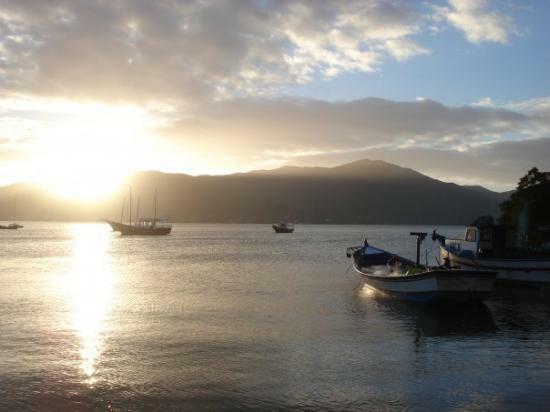 A great place to kick-off your morning here! Entry tickets are very cheap, and students pay half price. 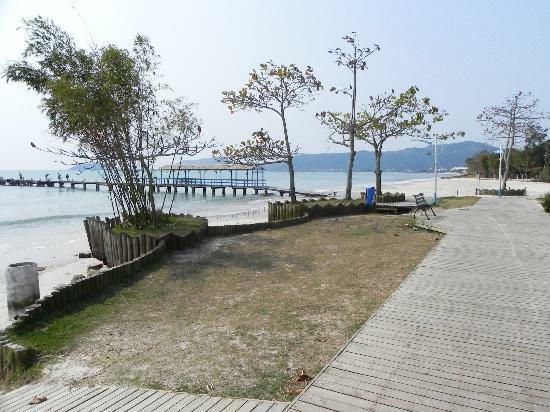 If your schedule is not too tight, enjoy a few minutes on the beach located right by the fort. 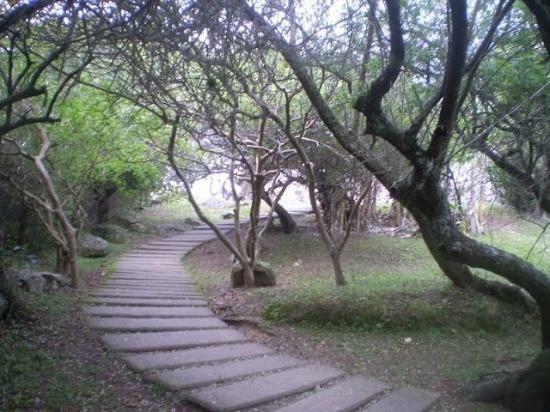 National and international celebrities often choose to spend their vacations in Jurere Internacional; so why not join them? Stroll around this neighborhood to admire fancy houses, hotels, resorts, and peruse upmarket restaurants and bars. It's easy to find restaurants with menus in English in this area. Note however, that prices are high! Those looking for nightlife options might want to consider coming back here after dark. 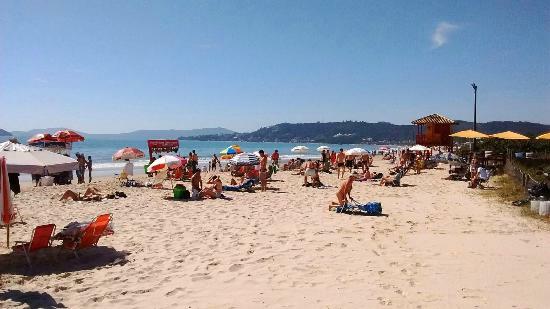 If you have time to go for a swim, the beach has calm waves and is suitable for families with children. 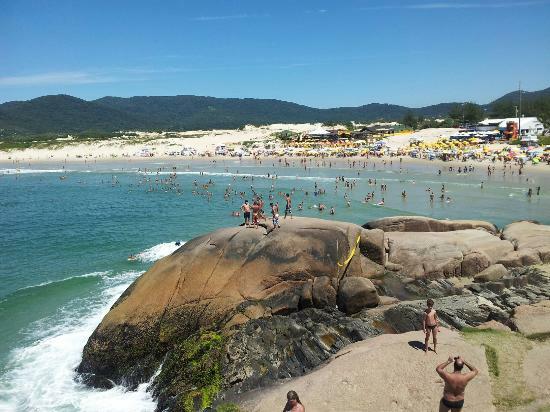 The calm, warm waters of Canasvieiras are a big attraction for tourists; especially during the summer. 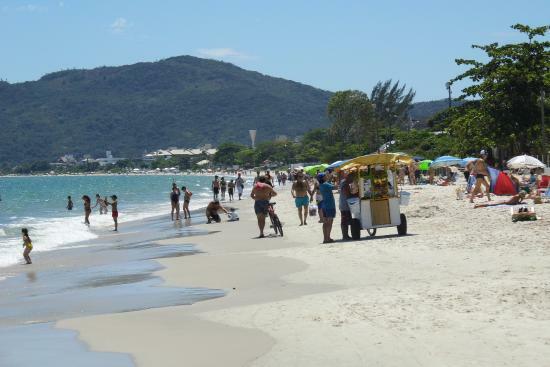 This is a great area to stop at a restaurant by the beach, and refresh with a coconut water or a 'caipirinha' — the classic Brazilian drink. Spanish is spoken in several restaurants and shops in this area. Feeling hungry? My favorite snacks in the area are crab cake ("bolinho de siri" in Portuguese) and "churros" (deep fried dough filled with dulce de leche or chocolate). 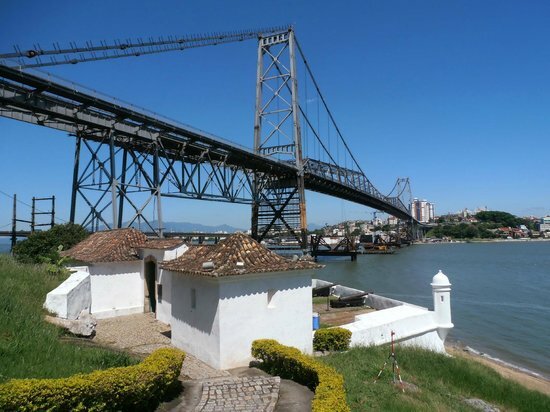 Offering one of the best views of the city, this lookout point is 285 meters high. 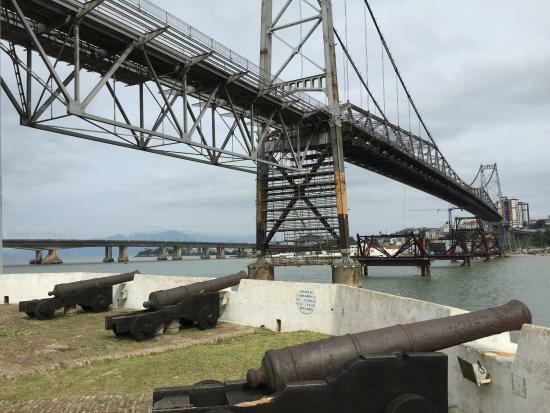 Enjoy a stunning vista of the bridges, the sea, and the city center stretching out before — and on a clear day, you can even see the other cities that are part of the Greater Florianopolis Area. I recommend visiting this spot during the day. There is only one small restaurant there, so make sure you aren't too hungry before heading to the top! 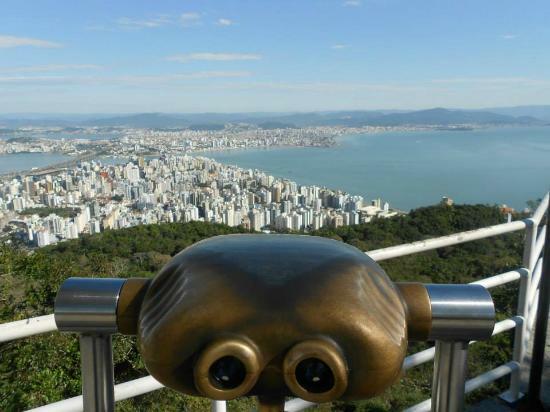 This viewpoint is also known as "Morro do Antão." 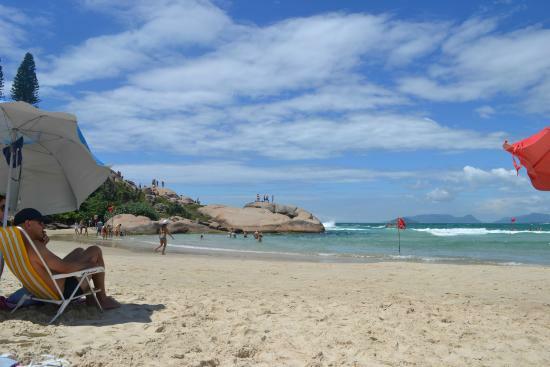 Beaches are not the only attraction in Florianopolis. 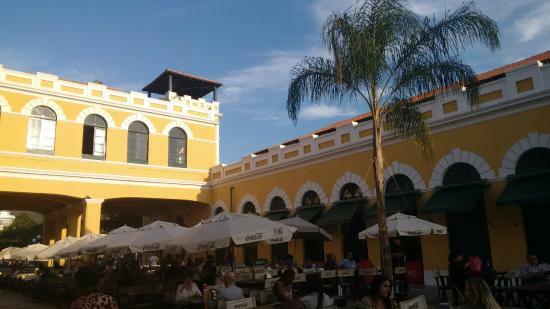 The city center is also worth visiting, and it's also an area that you can easily walk around in a short period of time. 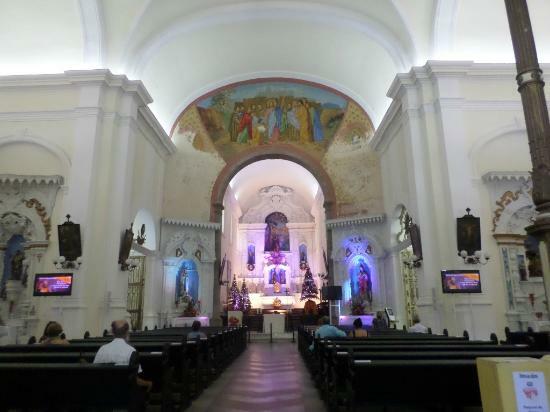 One of its major landmarks is this old cathedral, dating back to the 1700s. 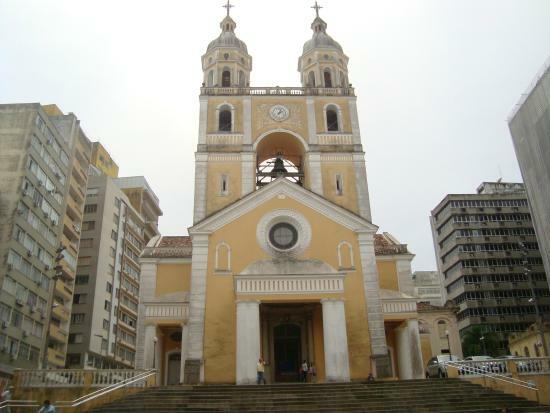 Right in front of the cathedral is Palácio Cruz e Sousa, a pretty building where the Historical Museum of Santa Catarina is located. 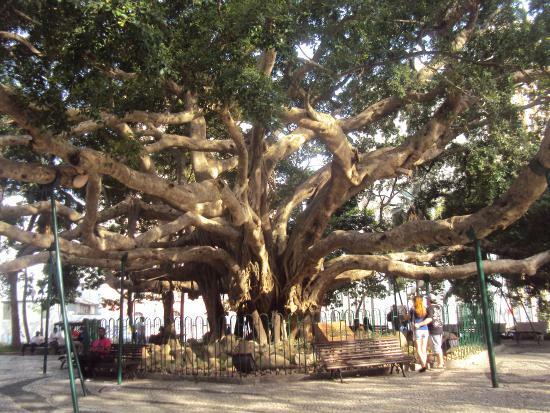 The most traditional square in the city, this plaza is home to an enormous fig tree, that's over a thousand years old. It's believed to bring luck and money to those who walk around it, so is well worth stopping by on your city center tour! 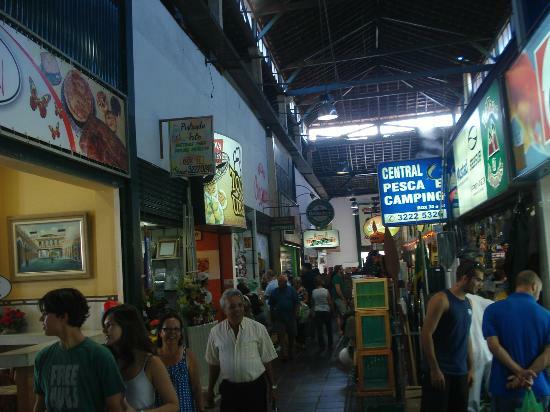 In the nearby streets (especially Felipe Schmidt and Conselheiro Mafra) you will find a variety of stores and banks. An infinite number of fruits, veggies, desserts, cheese, wines, and seafood are on offer at the Public Market. There are also restaurants here where you can sit down and dine, sometimes with live music! Head to Box 32 and order their famous "pastel" (a fried dough snack filled with cheese, meat, or other tasty options). The market is closed on Sundays. This is a great place to buy souvenirs! 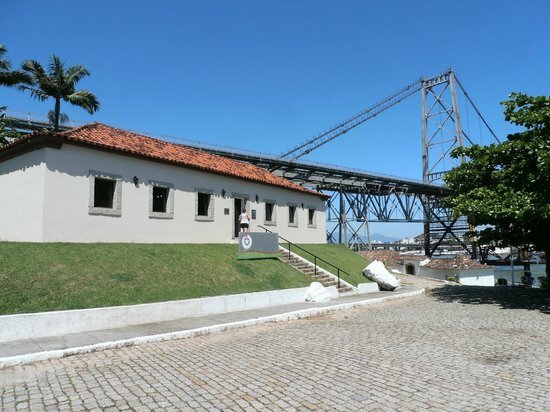 My favorite place to view the Hercilio Luz Bridge is from this fort and museum, located right under it. 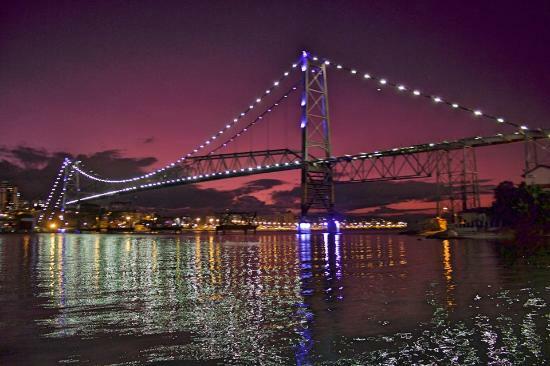 It's a symbol of the city, and while nowadays the bridge is closed and can't be crossed, it makes a great backdrop for photos, especially at sunset. 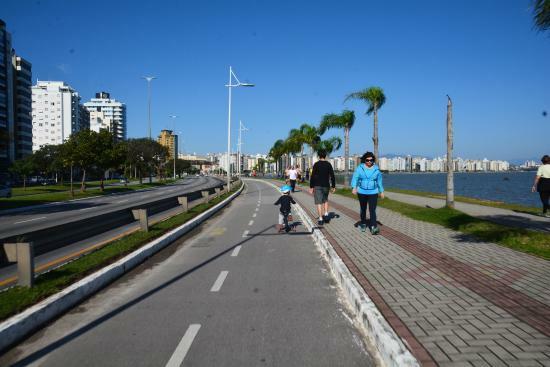 Locals and tourists go to this area to cycle, jog, walk their dogs, or simply relax. 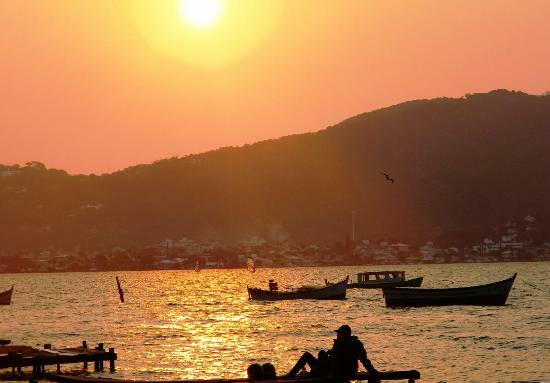 Head to the pier to enjoy the breathtaking view! You can rent a bike and pay by the hour. This is a great spot to watch the sunset! 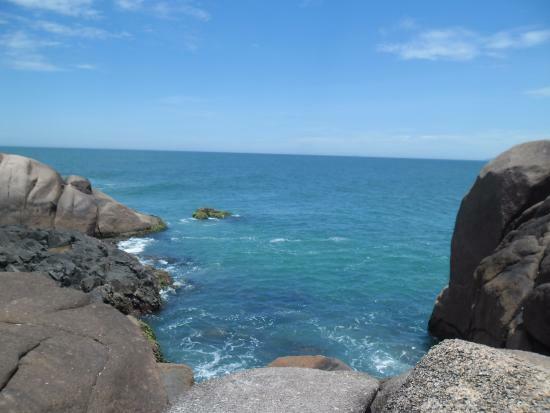 A favorite beach among surfers, Joaquina has the biggest waves and the coldest waters on the island. 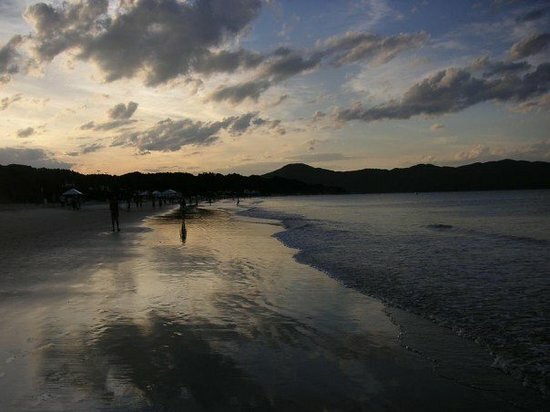 It's a very beautiful location and a must see even for those who don't like surfing. A great place to try sandboarding on the dunes as well! I love walking up the rocks on the left hand side of the beach. 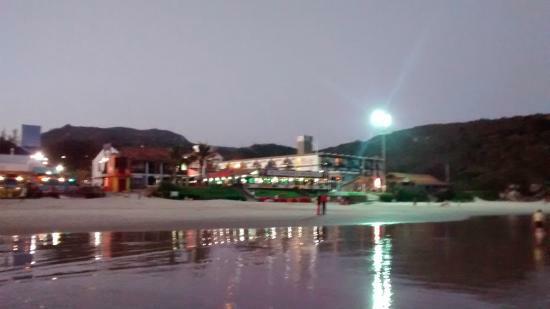 The perfect area to finish your day, this lagoon offers several different restaurant and bar options, and is great for a happy hour drink and a delicious dinner afterwards. 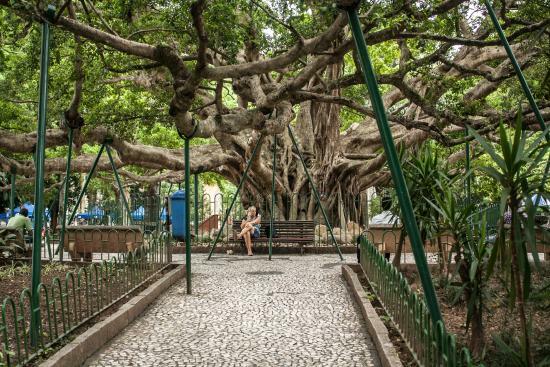 Stroll along Avenida das Rendeiras and head to the central area, called 'centrinho' by the locals. 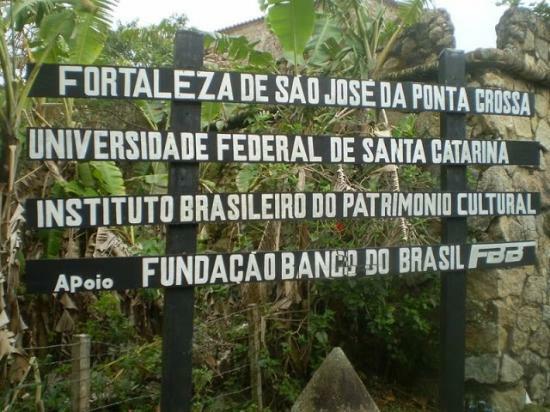 For dinner, my favorite dish — served in several restaurants here — is "sequência de camarão." This is three different kinds of shrimp, and usually comes with rice, fries, and salad. It's enough for two! On the weekends, there is an open art market in the main square here.